Died: 25th April 1918; age 28; KiA. Residence: 27, Cauldwell Avenue, Ipswich. 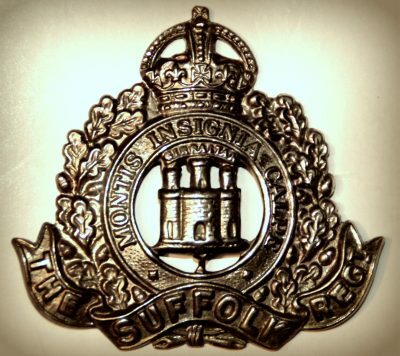 Relatives Notified & Address: Son of George & Martha Bragg, of 27, Cauldwell Avenue, Ipswich. Brother to SIDNEY WILLIAM BRAGG. 1891 287, Spring Road, Ipswich. Frederick was 9 months old and living with his parents. George James Bragg, 26, a Postman, born Tuddenham, Suffolk. Martha Bragg (nee Brown), 26, born Alpheton, Suffolk. 1901 27, Cauldwell Avenue, Ipswich. Frederick was 10 years old and living with his parents & brother. George, 36, a Postman – Civil. Martha, 36, a Grocer – Shopkeeper. Sidney William Bragg, 8, born Ipswich. 1911 27, Cauldwell Avenue, Ipswich. Frederick was 20 years old, a Clothier’s Assistant. He was living with his parents & brother. George, 46, a Postman – Post Office. Sidney, 18, a Feed & Florist’s Assistant.